This is so cute! Great job with all the free hand stripes!! Super super pretty! I really love the color scheme you chose too!!! this is so good! I love it and you did such a good job painting it! Hey, we're Tetris buddies =]! 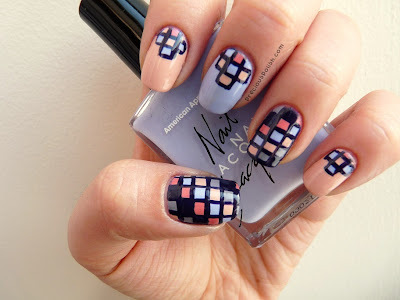 I love this look, your squares are perfect!